The Rondish Wireless Pull Cord Disabled Toilet Alarm System helps ensure the safety of your elderly or disabled loved one. Allowing them to easily alert you should they need assistance, the user simply pulls on the cord to signal a carer. The system is perfect for use in the bathroom where falls are more likely to occur, but where you may not always be on hand to help. But what if you have more than one toilet or bathroom in your house? This is likely if you are using the system in a care home. The Wireless Reset Button is designed for those who require more than one pull cord and reset button in their system. 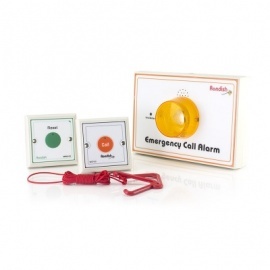 You can then monitor multiple patients and toilets at once, with all alerts being delivered to one alarm receiver. The Wireless Reset Button can also be used as a replacement or spare part, in case anything in your existing system should stop working. How Does the Wireless Reset Button Work? 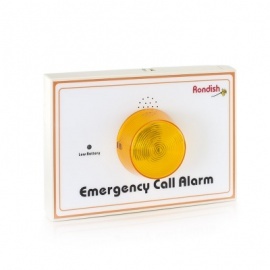 The Reset Button is for use with your existing Wireless Alarm System. If there is more than one bathroom being used by your patients, an additional pull cord can be installed. 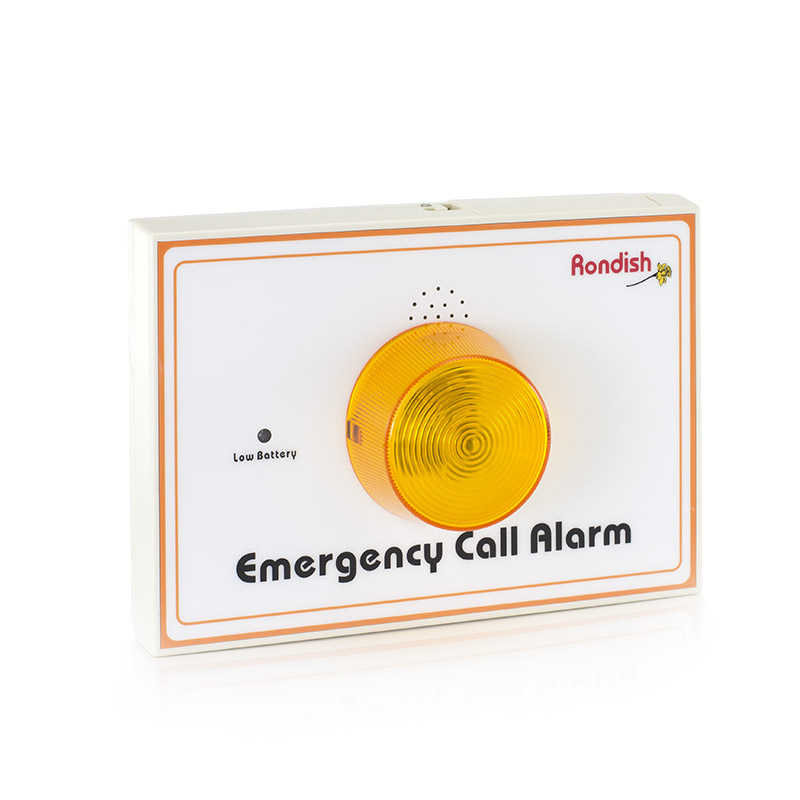 This will work with your existing system, meaning all alerts will be delivered to the same alarm unit. Therefore, you will only need to keep your eye on the one receiver. 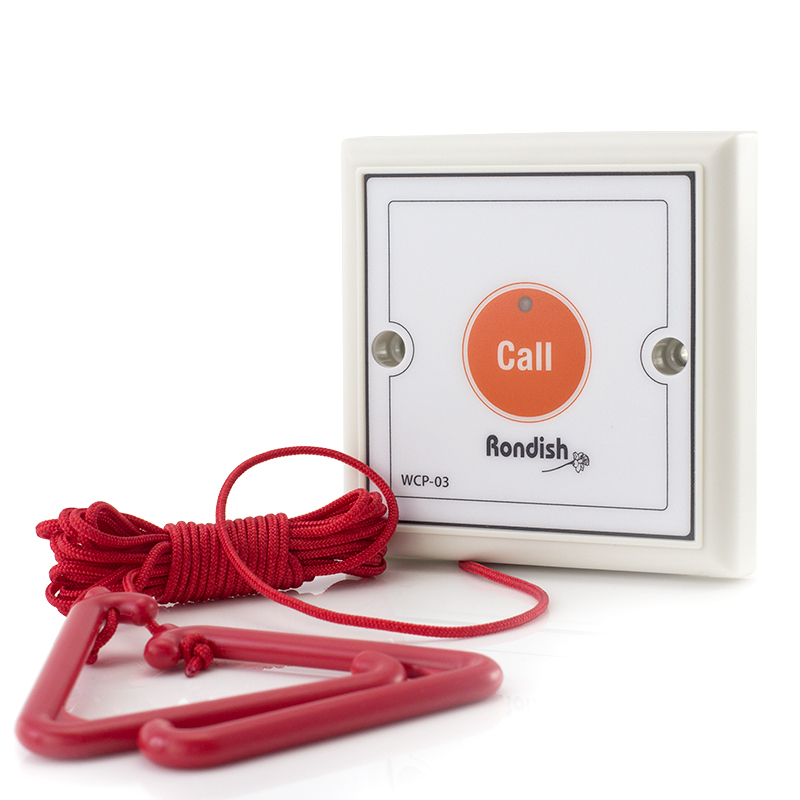 If you do decide to use an additional pull cord, the Wireless Reset Button will allow you to easily reset this alarm if the pull cord is activated. The system allows your patient or loved one to easily contact you from the bathroom should they need to, whilst still retaining their privacy.